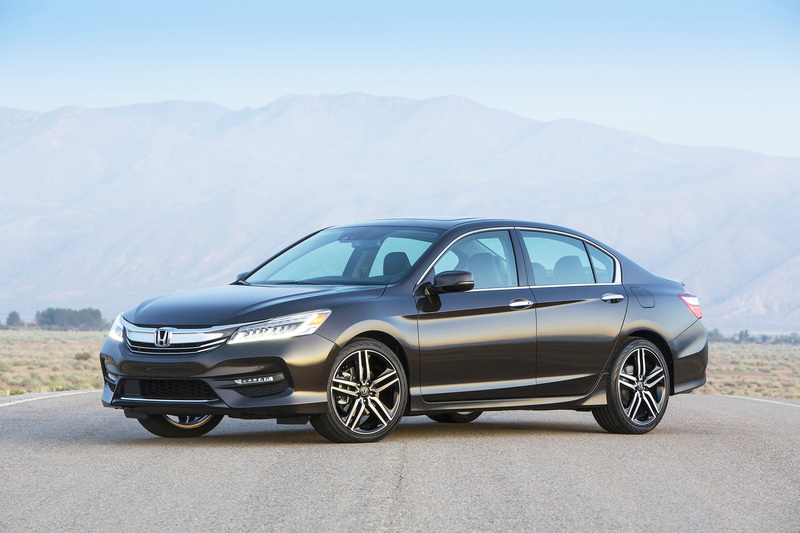 Honda’s popular Accord, the prototypical bulletproof family car, gets two notable updates for 2017 after a thorough refresh last year. One is the addition of a new Sport Special Edition model that comes with heated leather seats, red stitching and unique badges to make you feel, well, special. The other change is much more substantial: a new generation of the Accord Hybrid that should be vastly improved based on the numbers. Honda says the Hybrid generates 212 horsepower while getting a 49-mpg city/47 highway rating from the federal government, enough to make it both the most powerful and most efficient hybrid in its class. The 2017 Accord I’ve been driving, though, is neither the Hybrid nor the Sport Special Edition. It’s largely a carryover model from last year, a loaded-up Touring V6 that shows just how sophisticated and high-tech a Honda can be. Priced around $35,000, this particular trim level makes me wonder why Honda even needs its luxury Acura division. It does such a good job with its over-the-road comfort, prodigious power and exhaustive feature set that only a lack of cachet keeps it out of a luxury showroom. Of those features, the Honda Sensing package is the most drool-worthy. It comes with active safety systems that appeal to a logical brain, including sensors that can warn you and prepare the car before a collision or alert you to vehicles in your blind spot on the highway, along with something much more fun and childlike: the gee-whiz ability for the car to almost drive itself. After getting new styling and a variety of upgrades for 2016, the Honda Accord continues to be one of America’s most popular family cars. By combining Lane Keeping Assist, which gently nudges you toward the center of your lane, and Adaptive Cruise Control, which adjusts the car’s speed to stay with traffic and even bring it to a complete stop, Honda Sensing makes the Accord come insanely close to crossing a line into autonomy. To a certain extent, it can take over control from the driver, something that can save lives during a brief lapse in attention. On the flip side, that begs a question: As driver input gets less relevant with each passing year, will drivers start paying less attention because they know their super-smart, brainiac car will automatically make up for gaps in a dumb human’s judgment? In my experience, knowing the Accord could help keep itself centered and not hit the car in front of me made it more tempting to do things I know I shouldn’t: texting while driving, talking on the phone, and letting my thoughts drift aimlessly away from the road. The more work the car does on its own, the more willpower it takes to keep the smartphone in my pocket and my attention on the road. Fortunately, the Accord has a solution to that problem, too. It continues to offer Apple CarPlay and Android Auto, the two best systems for integrating smartphones with cars today using voice controls. Car companies will sometimes try to develop their own smartphone software that works with the vehicle — including a system Honda used through 2015 that I and many other car reviewers relentless complained about for its lack of intuition. Fortunately, many car brands are coming to the obvious conclusion that Apple and Google are far, far better at running smartphones than the car manufacturers are, and the results are self-evident. The Accord’s well-built cabin now is available with Apple CarPlay and Android Auto smartphone systems. Apple CarPlay works perfectly in the Accord, right out of the box. All you do is plug your phone in to be able to make calls, listen to music, read and send text messages and talk to Siri, all without having to put your fingers on the phone. Its voice recognition system works brilliantly to help you keep your mind focused on the road, where it should be. Pricing starts at $22,355 for the base Accord with a manual transmission — yes, they still offer that — and ranges up to $34,830 for the range-topping Touring luxury cruiser. You can get an Accord with Honda Sensing for as low as $24,155 including a CVT automatic transmission, a terrific value for that feature set. With Honda Sensing, it’s a showcase of what a modern car can do. The safety and comfort factor of Adaptive Cruise Control and Lane Keeping Assist are almost magical.